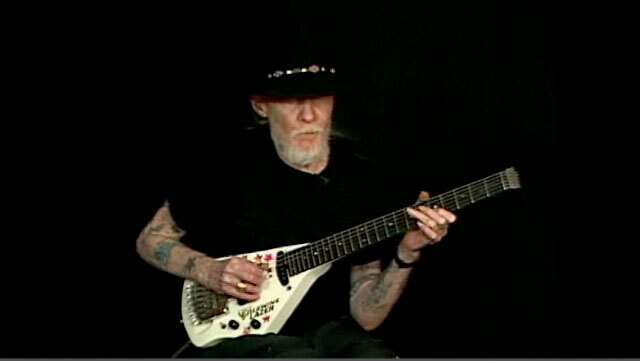 For over 40 years, Johnny Winter was one of blues guitar's unsung heroes. In his early years, Winter helped bridge classic, traditional blues with the then burgeoning British blues explosion led by Eric Clapton and Jimmy Page. In the late '70s, Winter helped introduce blues giant Muddy Waters to a whole new generation by producing and playing guitar on Muddy's Grammy-winning Hard Again. Throughout his career, Winter separated himself from other blues guitar heroes by displaying amazing proficiency in blazing electric blues lines, acoustic country blues, and slide guitar-both amplified and acoustic. Winter's classic albums include his self-titled 1969 debut, 1970's Johnny Winter And, and 1973's Still Alive and Well. Winter died in his hotel room in Zurich, Switzerland, while on tour in 2014. He was 70 years old. In this series of video lessons, Johnny demonstrates licks, riffs, turnarounds, and solos in both his own inimitable style, and in the styles of many of his favorite guitarists. These parts are then broken down and taught note-for-note by master blues guitar teacher Al Ek.